All this talk about the #CleanBeautyRevolution and toxic chemicals in your products. But how do you know what ingredients are toxic and how do you make better choices and find alternatives? I’m here to help! Sadly this is just a few of the thousands of chemicals that are put into our products, and many of these can go by different names as well. Almost all are banned in the European Union. So now what? I encourage you to take inventory of your products and look at the ingredients. You will probably be shocked at how many of them include a lot of these toxic ingredients. I know it won’t happen overnight, but try to replace those products with safer alternatives (it took me like two years to fully replace most of my products). I have a list of recommendations for products as well, that should help you get started! 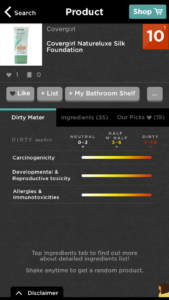 There are also some handy apps out there that can help you determine how safe your products are. One of them is the Think Dirty App. 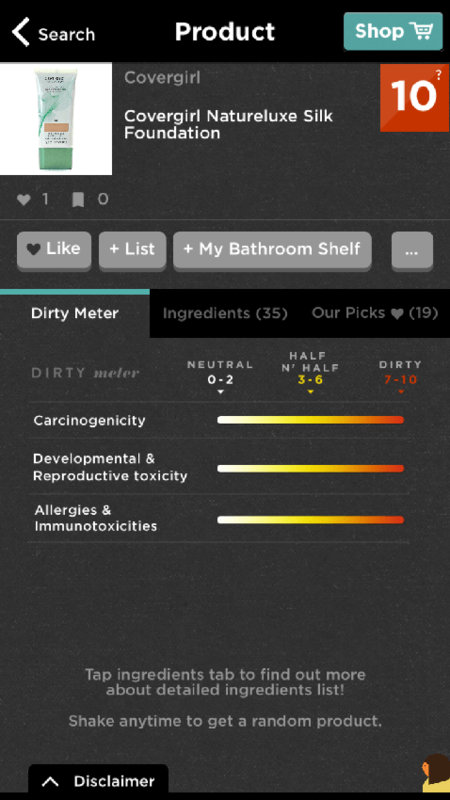 You can scan the barcodes on your products and it will give you a rating on how toxic or safe it is. So helpful! It also gives an explanation of the ingredients. The Environmental Working Group also has an app, the Healthy Living App, that has similar functionality (as well as food products). The foundation that I used to use received a 10 on Think Dirty 😱 So bad! What’s worse is that Covergirl tries to pose the product as “natural” and “touched by nature” What a joke! I have heard to start with your eye products-eye shadow, mascara, etc. It will take a while to fully replace everything but you gotta start somewhere! True dat. I’m really enjoying your blog so far!